The only christening record I could find had the wrong parents listed. Father:	Isaac Howell and Mother:	Martha Howell - other censuses show this Bilston family in their listing. Which girl this record is for I cannot tell without ordering the certificate. This has Louisa living next door to her father in 21, Victoria Terrace, Broad Lanes, Sedgley. This entry has Louisa's age elevated by five years, but according to this record she would have given birth to John at age 22, whereas by my reckoning she was 17 at the time of his birth. Perhaps she told everyone she was older! This census has Louisa married and her family living with her father and mother in 21, Swan Row Ettingshall. Thomas Wright	36 - clerk at the ironworks - isn't Louisa's husband - perhaps his brother? 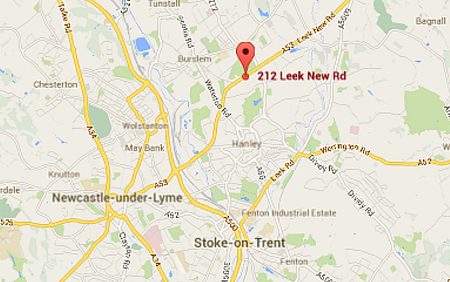 The family have moved to Stoke-on-Trent and are living at 212, Leek Road, Smallthorne. 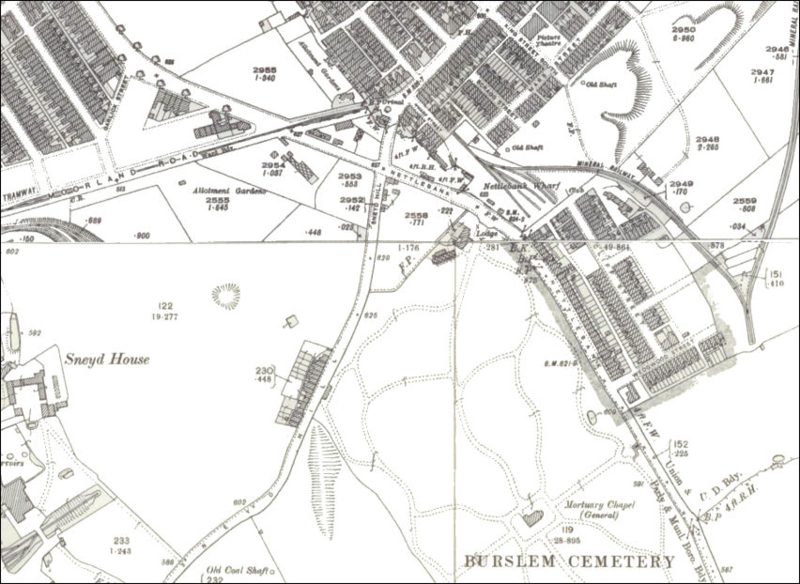 Click here for an old map of the area. Louie Wright	43 - Louie is probably the pet name Henry had for his wife.